When I was young, my Aunt Ellen never came for a visit without cutting roses from her garden as a hostess gift for my Grandmother. 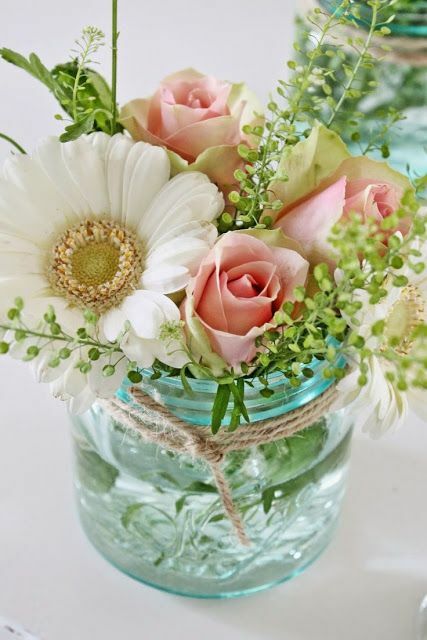 I remember the beautiful multicolored and scented bouquets and how my grandmother would rave about them. I can hardly picture my Aunt’s face without thinking of her prized roses. Years later, a dear friend of mine visited my home on California’s Central Coast to cut garden and cottage roses to fill vases for an elegant bridal shower. The simplicity of the nodding roses alongside coordinated but unmatched china gave a personal, understated elegance to the event. 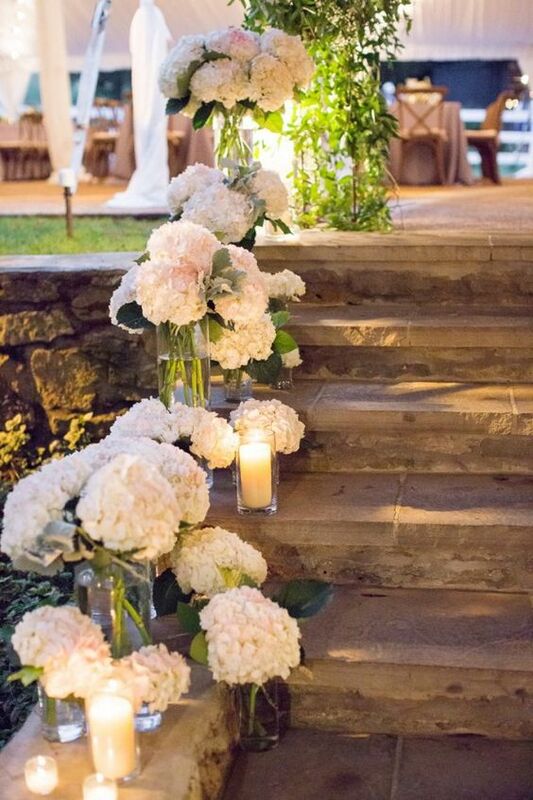 Maintaining a garden that can be sourced for bouquets and centerpieces, while never really out of style, has become increasingly popular as we strive to add meaning and a personal touch to entertaining after straying over time from the graces of yesteryear. Flowers from our own garden just feel good. Nothing makes a home feel just a little more joyful than a vase full of cut perennials sitting on the kitchen table and a centerpiece boasting hydrangeas or peonies can punctuate a late Spring dinner party. 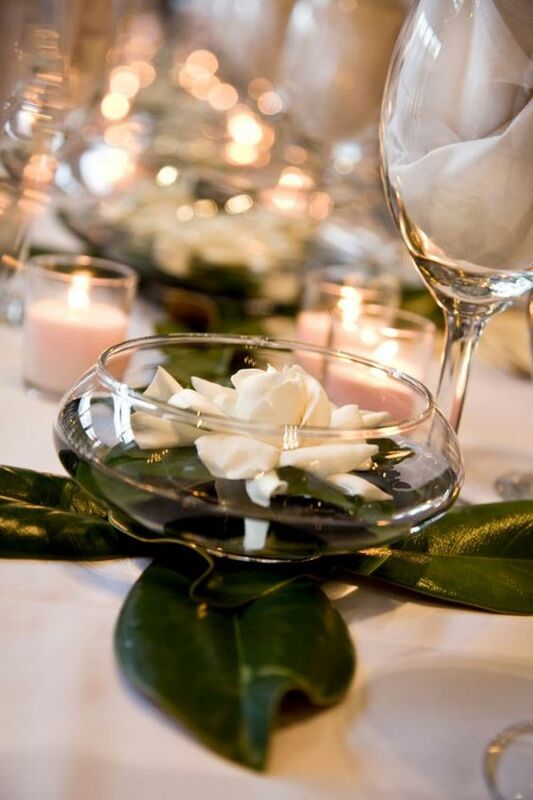 Don’t forget to float gardenias or magnolias with candles in conversation areas for beautifully scented ambiance. 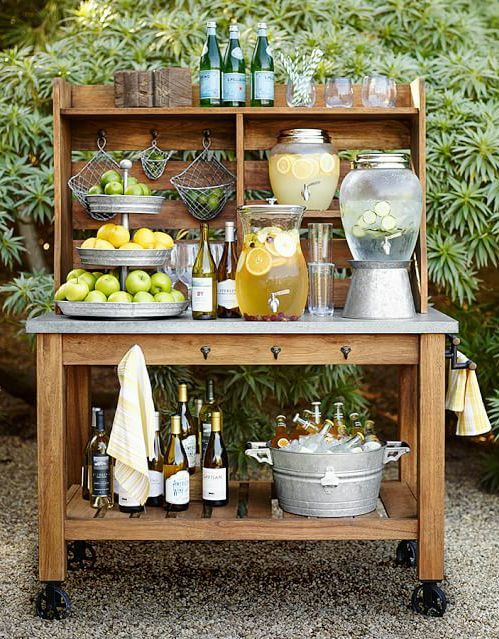 When planning your garden with entertaining in mind, think about the different seasons and how you like to entertain. 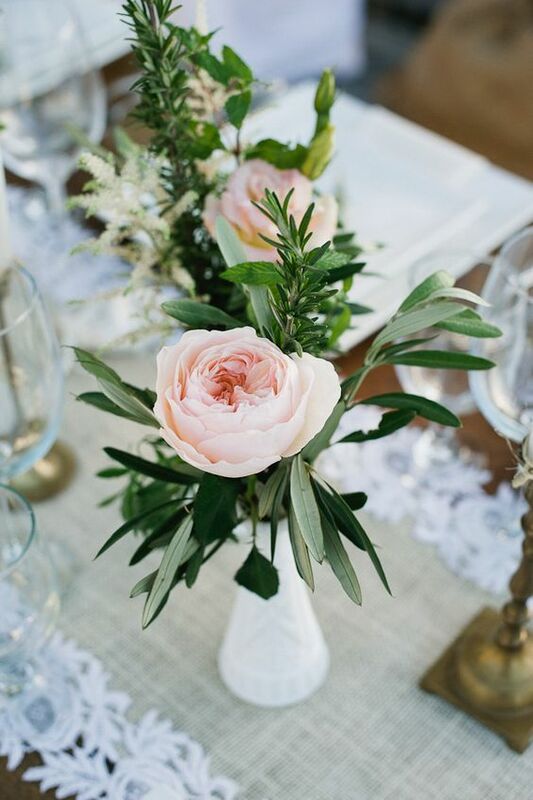 What types of blooms and greenery do you like to use? 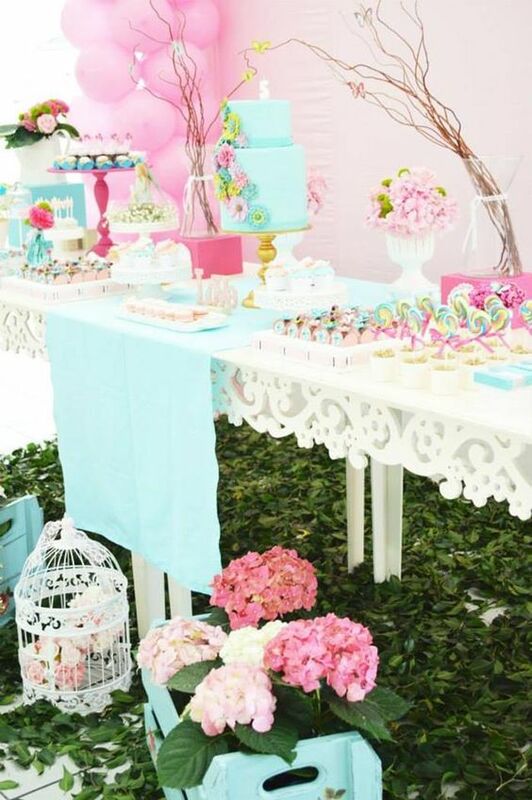 Most of all, plant what you love because this is all about adding your personal style to your entertaining. 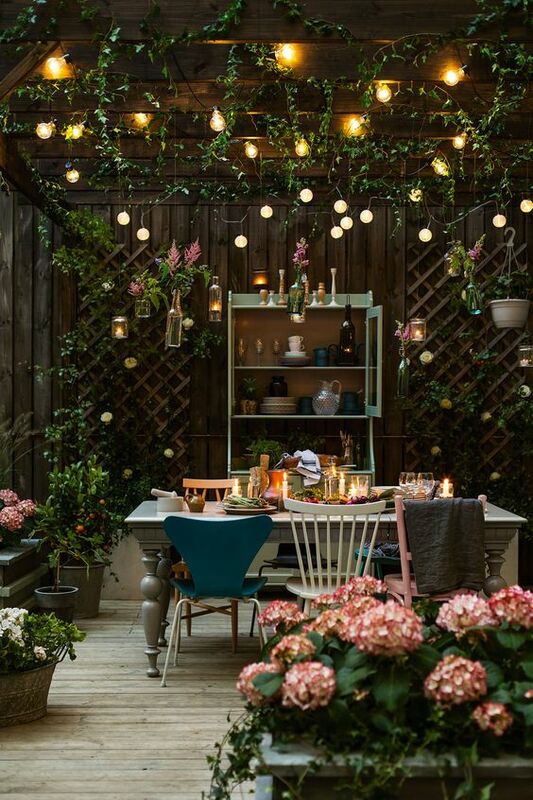 Don’t forget that your garden itself can serve as a dramatic and colorful backdrop for a patio or garden party and that potted plants can be moved around as needed to decorate areas where your guests will linger. A large pot overflowing with trailing annuals near a bistro table adds a nice touch and potted herbs offer ready to cut sprigs to be added to lemonade or cocktails for guests (think mint for a Mojito and lavender for lemonade). Another wonderful thing about using potted plants is that you can enjoy them long after the party is over. We threw a butterfly themed birthday party for my daughter a few years ago and filled pots with butterfly attracting perennials that went from decoration to gift – my daughter’s very own butterfly garden – and she is still enjoying it! Whether cutting flowers, digging in the dirt or enjoying drinks with friends, spending time in a beautiful garden is the perfect way to unwind. Jennifer is an avid home gardener and loyal Fairview customer. To read more about her gardening experiences and why shopping at a local garden center is important click here.